Barbara T. understands what it’s like to have a rough start in life. As a supervisor for the New York City Department of Probation, Barbara works with teenagers from troubled backgrounds. With patience and kindness, she provides needed services and second chances to teens in need. But recently, Barbara’s compassion extended toward someone outside of work—someone who walks on four legs instead of two. 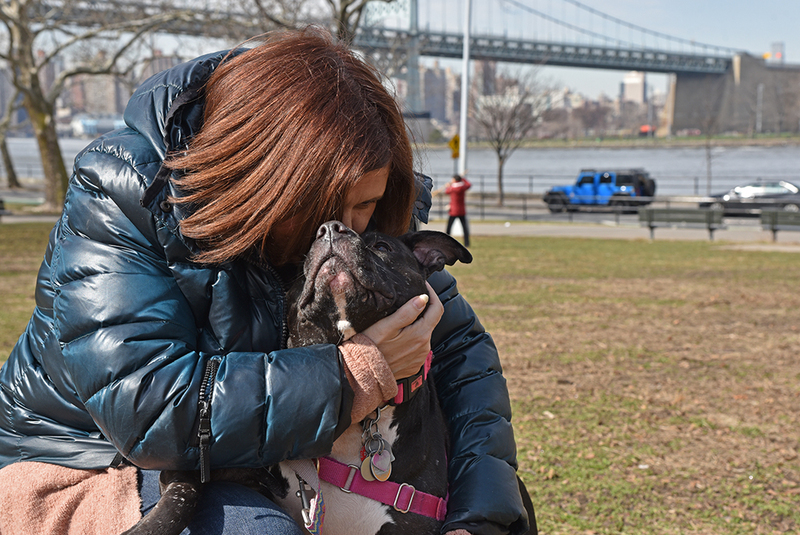 Saying that Ursula, a five-year-old pit bull who was rescued in July 2014 by the NYPD and ASPCA, also had a rough start, would be an understatement. 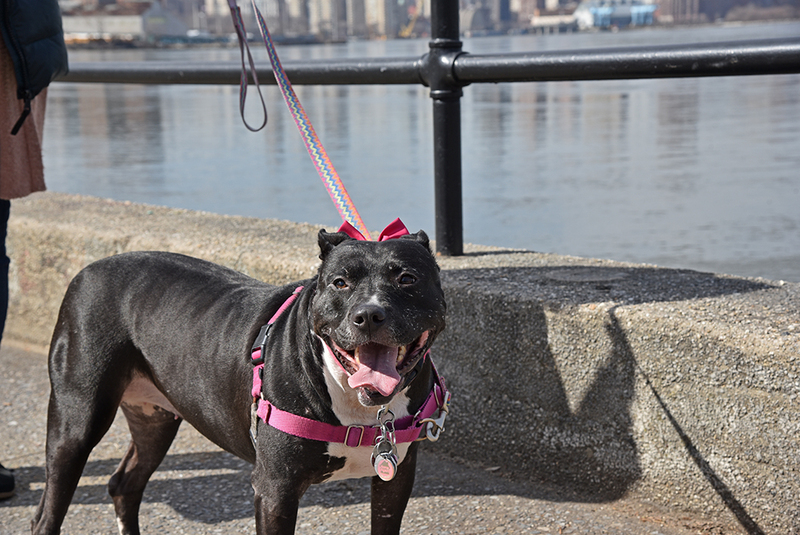 Before her rescue, Ursula was abused in a dogfighting operation along with nearly two dozen other dogs in a Queens home. 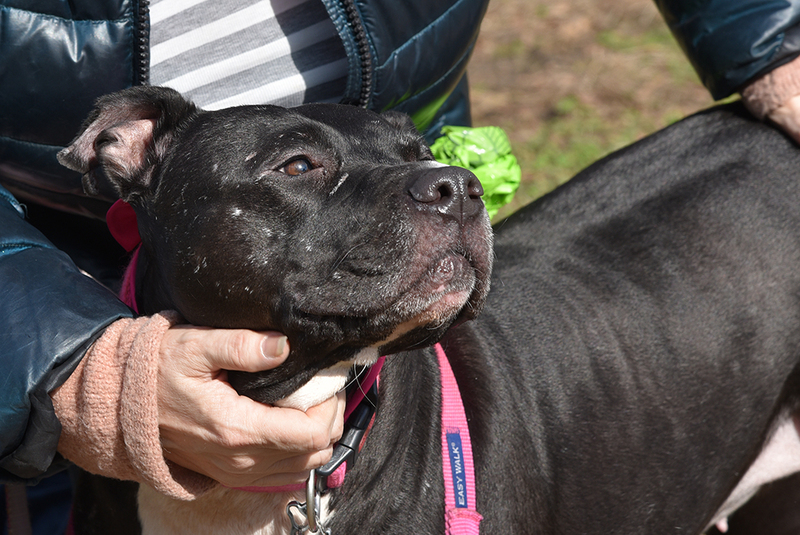 Now, thanks to Barbara, this dogfighting victim has gotten a second chance and then some. 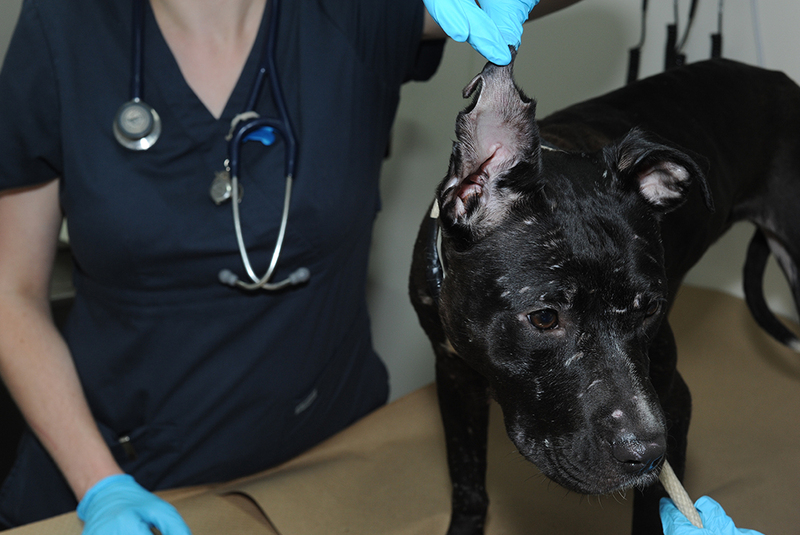 In addition to the scarring seen on her face and body, Ursula’s ear was partially torn and was missing pieces that had been bitten off. 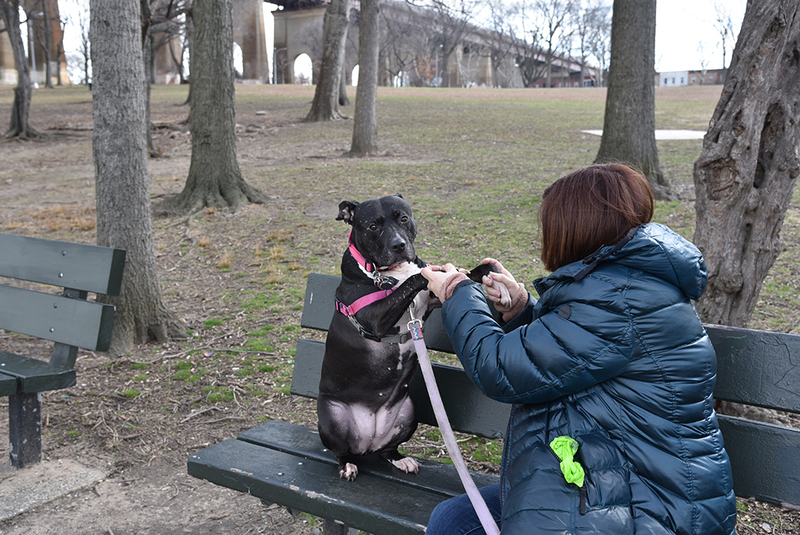 Ursula was cared for at the ASPCA for nearly a year after her rescue and met Barbara the following summer, when Barbara and her daughter, Alexandra, visited the ASPCA Adoption Center looking to adopt a dog. Their family had recently lost their Cocker Spaniel, Toby, to inoperable cancer. “There was a void in our lives,” Barbara explains. As Barbara and Alexandra walked through the dog enclosures, they passed by Ursula. Barbara noticed that Ursula was a pit bull and initially hesitated. 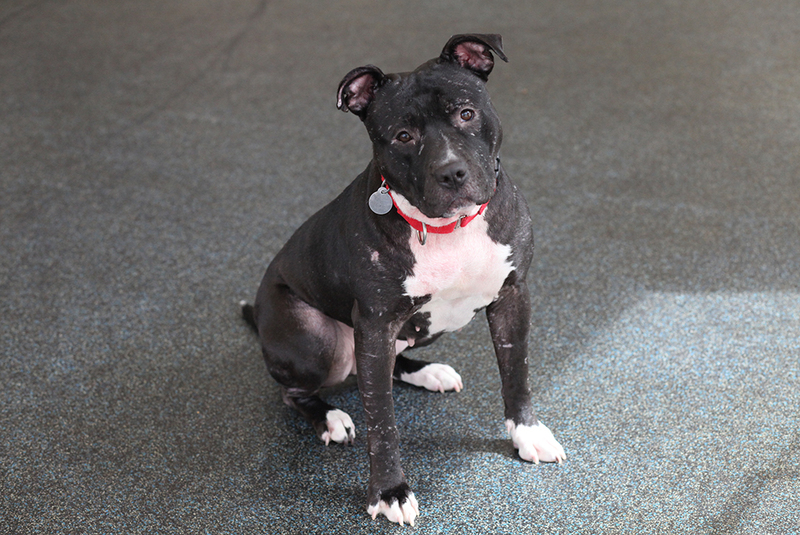 But Alexandra saw something special in the black-and-white dog, whose prevalent scarring on her face, head and legs gave away her cruel past. “‘Why don’t you take another look at Ursula, Mom?’” Barbara recalls her daughter asking. The family had never had a pit bull, and Barbara’s son, Patrick, was surprised she had opted for a larger dog. 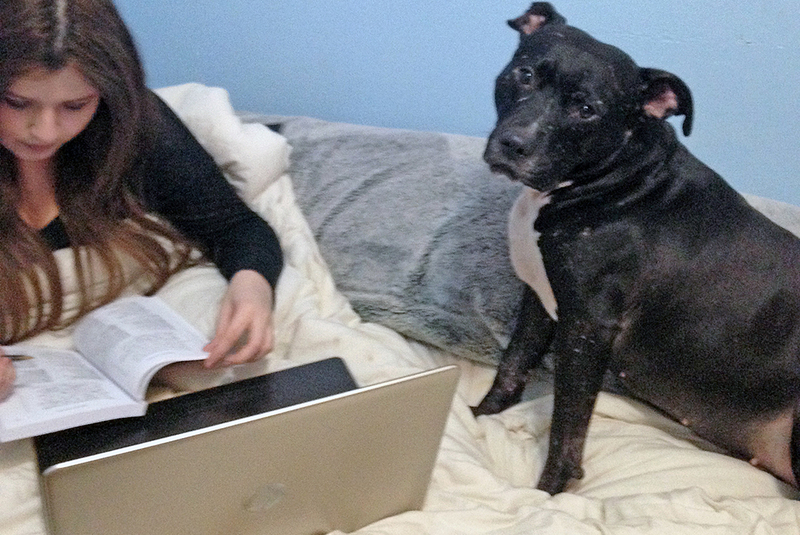 Barbara considered returning Ursula to the ASPCA, thinking perhaps Ursula missed the staff who had cared for her. Her husband, Patrick, called an ASPCA representative who encouraged the family to be patient with Ursula’s adjustment period. Though it took time, Ursula’s behavior began to indicate a level of trust with her new pet parents, something that can be extremely difficult to find for victims of abuse. Ursula is a stocky 60 lb. 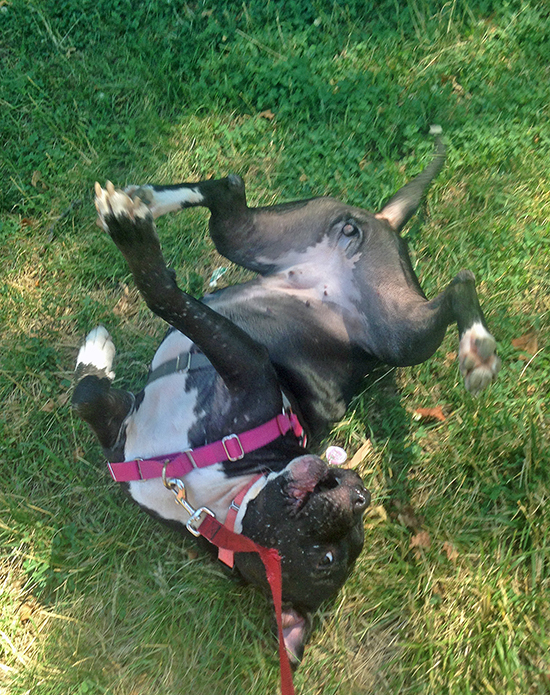 but gets plenty of exercise at a nearby park, often rolling in the grass “when she gets her groove on,” says Barbara. She adds that she kept Ursula’s name because it was fitting. “In Latin, Ursa means bear, and she’s our little bear.” The family also calls her Ursulala, Lala, Ursie, even Urs—which rhymes with purse. Alexandra, who is studying ancient languages and literature at Columbia University, often plays Roman and Egyptian music from antiquity, which Ursula finds soothing. “We call her the ‘classics canine,’” Barbara says. She adds that Ursula loves car rides, road trips, food shopping at the local pet supply store and belly rubs. “She surrenders to belly rubs,” Barbara says. While Ursula seems to have put her cruel past behind her, some things can still trigger fright—and flight. 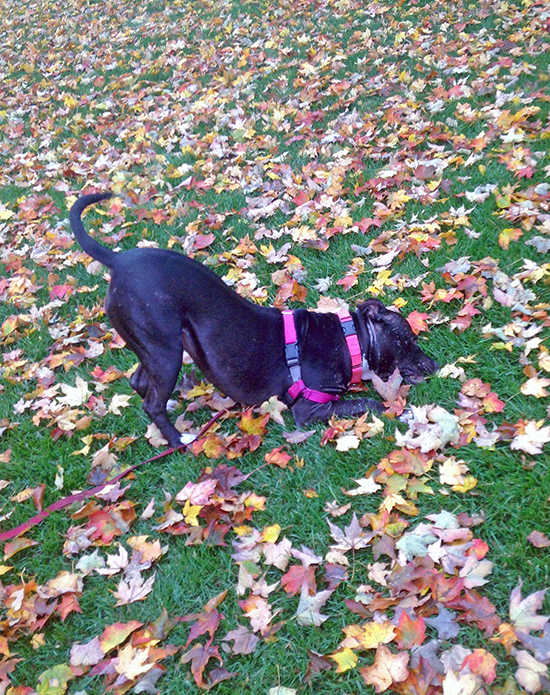 Barbara applies what she’s learned working with troubled teenagers to dogs like Ursula, who come from abusive pasts. 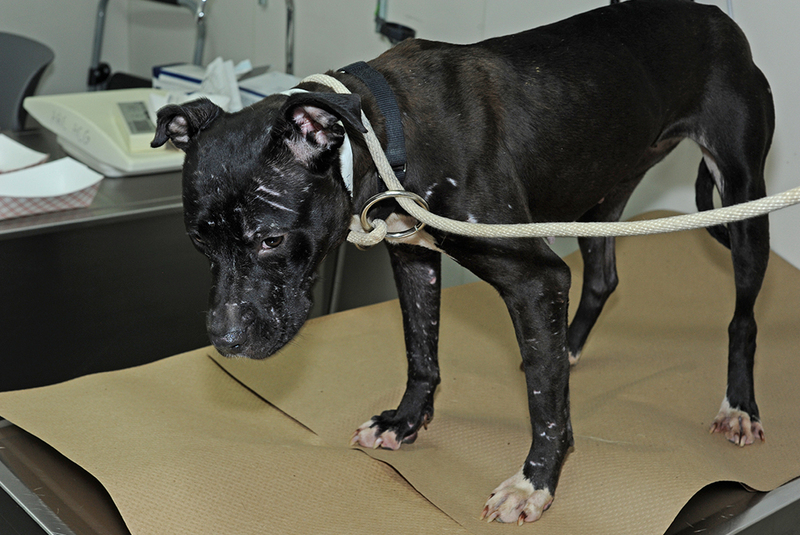 Three of Ursula’s abusers pleaded guilty to various animal cruelty charges. Though justice may have been served, there’s still more work to be done to prevent crimes like this from happening and to keep innocent animals from ever knowing this kind of suffering. 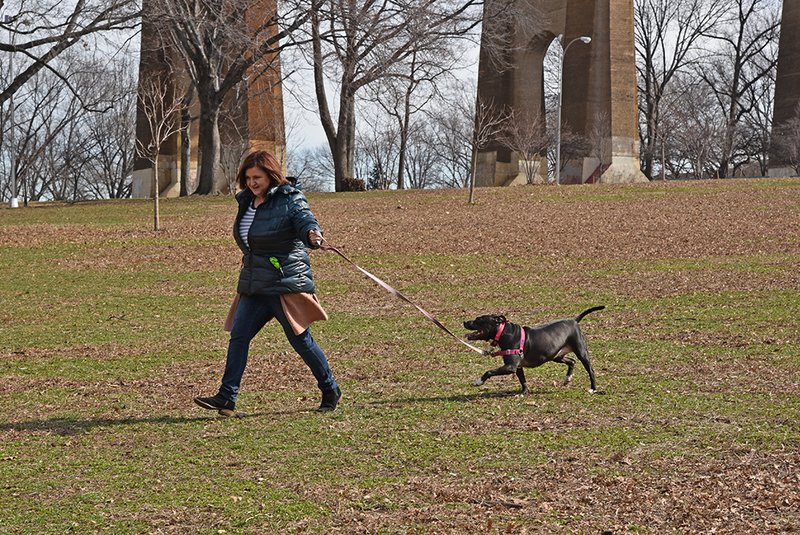 Stay tuned and join us during the month of April as we fight to “break the chains,” and end the heinous bloodsport that is dogfighting.